In recent research completed by Play Therapy UK based on Irish outcomes 75% of children showed a positive change as reported by referrers. 77% of children showed a positive change as reported by parents. Play therapy can help in lots of different ways. Play therapy provides children with emotional support and can help them to make sense of their world by playing out experiences at their own pace. Play therapy can improve coping skills and help children to deal with negative feelings such as anger and worries in more appropriate ways. Play therapy can also help parents in understanding their child’s world. Some goals by the end of play therapy might include improved self-esteem, improved resilience or a reduction in the behaviours that were causing concern. 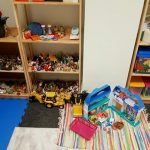 What age group is play therapy suitable for? Play therapy is a suitable intervention for children aged between two and a half and sixteen years. Play therapy can be a helpful intervention for children and young people experiencing emotional and/or behavioural difficulties. Reasons for referral may include experiences of loss such as death of a loved one, children who have been hospitalised, children dealing with parental conflict or separation, children dealing with self-esteem issues, difficulties at school and many more…..
How long does a child attend play therapy for? Every child’s journey is unique to them but children usually attend a minimum of 8 sessions with the average timeframe being 12 – 20 sessions. 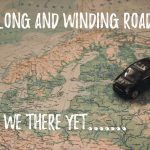 Some children may need to attend for a longer timeframe depending on the complexity of the issues that brought them to play therapy.